After a long wait and lots of hype, the Phottix Odin for Nikon is now listed available to buy, nine months after the release of the Canon version. The Phottix Odin is a 2.4GHz wireless flash trigger that gives you all the power of Nikon AWL – and maybe more – without having to work within the limitations of the optical transmission of the proprietary Nikon CLS Commander. The Odin claims to work at ranges of 100 metres or more and doesn’t need direct line-of-sight like optical transmission does. Remote flash exposure compensation of TTL speedlight groups in 1/3 steps, from -3 to +3 stops. To ensure long-term compatibility and to iron out any bugs, the firmware of the Odin units can be updated via the mini-USB port. 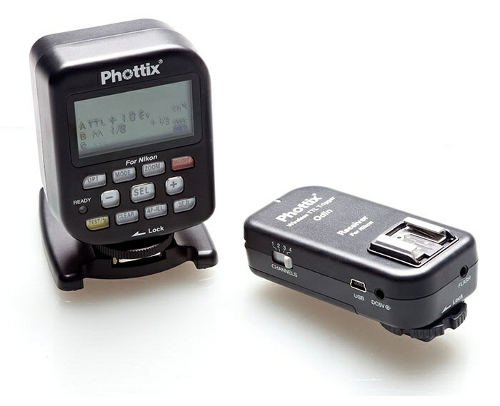 Phottix don’t test or support operation with third party flashes (Nissin, Metz, Yongnuo etc.) but they do have their own speedlight coming in the future that will be compatible. The Odin should work with the Nikon SB-400, SB-600, SB-700, SB-800, SB-900 and SB-910 Speedlights. Nikon have not yet made their own counterpart to Canon RT system, so if you want radio i-TTL control there are only third party solutions. 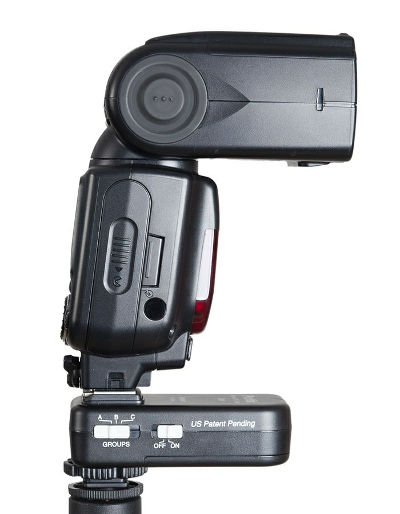 Phottix are calling the Odin “the new gold standard” in wireless TTL. The nearest functional competitors are the PocketWizard FlexTT5 or Quantum QLink. There is also the RadioPopper PX, an infra-red relay gadget that adds range to an existing AWL set-up. For more technical information, visit the Odin for Nikon product page. The recommended retail price for a Phottix Odin transmitter-receiver kit is US$350/£339, with extra receivers available for $145/£130. To get it first, buy now directly from the manufacturer’s online store. If you live in America, Phottix accessories are also distributed by OmegaBrandess and carried by Adorama. 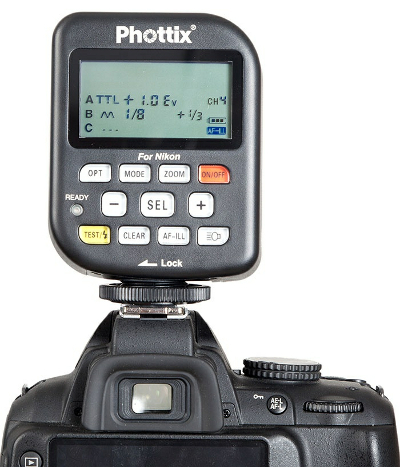 In Great Britain you can find Phottix products for sale by authorised Intro 2020 dealers. More resellers in other countries are listed here.